Alhamdulillahi rabbil aalameen was salaatu was salaamu alaa ashraf al mursaleen Sayyidina wa Mawlana Muhammad al Mustafa sallallahu alayhi wa sallam. 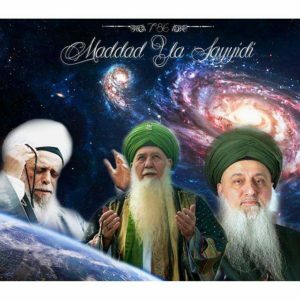 Madad ya Sayyidi ya Rasul al Kareem, ya Habeeb al Azheem, unzur halana wa ishfalana abina bi madadakum wa nazarakum, madad ya Sayyidi ya Sultan al Awliya Mawlana Shaykh Abd Allah Fa’iz ad Daghestani, madad ya Sayyidi Sultan al Awliya Mawlana Shaykh Muhammad Nazim Adil al Haqqani, madad ya Shaykh al Quloobina Mawlana Shaykh Hisham Kabbani. 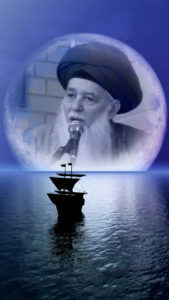 Madad al-haqq wa hujatallahi al-mukhlis. Audhu Billahi min ash Shaitanir Rajeem, Bismillahir Rahmanir Raheem, “Ateeullah wa atee ar rasul wa ulul amrin minkum” Obey Allah, Obey the Messenger, and those on Authority.” A reminder always for myself, Ya Rabbi, Ana abduk al ajeez wa da’eef wa miskin wa zhalim wa jahl; and by the Grace of Allah (AJ) that we are still in existence and the Rahmah of Allah (AJ) InshaAllah to always be upon us and dress us and guide us. Awliyaullah (saints) come into our life and they begin to teach that your hands are a receptacle. 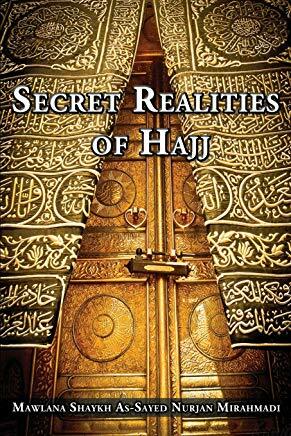 They are points of reality of all your inner being, Allah (AJ) has put those secrets upon the hand. 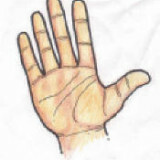 Means every point of the hand has a connecting organ, has a connecting reality inside the body, similar to the feet. How we got to this subject tonight is because there are people who place such an importance on their kalam, on their words, on their mouth. Greatness of Allah (AJ), greatness of Sayyidina Muhammadﷺ bringing the Words of Allah (AJ), that they place an importance upon their mouth, their speech, their qirat, their pronunciation. Allah (AJ) describes in Holy Qur’an that, ‘We’re going to seal your mouth,’ in Surat al-Yaseen, verse 65. Surat YaSeen, from the heart of Qur’an, which we keep teaching Surat al Yaseen is the heart of Sayyidina Muhammadﷺ. 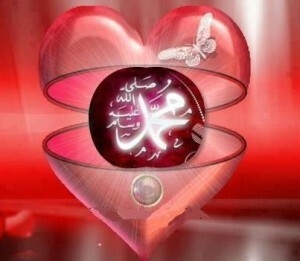 Prophet’s heart is Manzil al Qur’an in which the Holy Qur’an is emanating from that reality. Allah (AJ) says, ‘the day that We’re going to seal their mouth,’ coming from heart of Holy Qur’an. Always a reminder that ‘We are going to seal their mouth’. We have said many times before, Allah (AJ) is first to know that that mouth of yours is filled with lies. That mouth of yours said so many things; that mouth of yours testified to so many things. Allah (AJ) saying, the first thing He is going to do is : seal the mouth. As soon as you arrive at that destination, Yawm al-Mashr, (the day of gathering/judgment day), Allah (AJ) seals the mouth. So then immediately awliyaullah come into our lives, say, ‘Don’t put so much importance on your kalam, because Allah (AJ) going to be sealing that mouth’. Means then what this mouth has to say, is of no importance. What Allah (AJ) then is going to ask? is that ‘I’m going to speak to their hands. Their hands will begin to talk; and their feet will testify to their rizq and what they earned’. SubhanAllah how Allah (AJ) prepared us for the last days. Can you imagine this 500 years ago? They say, ‘Oh, ya Rabbi, what are you going to want from my hands, I’m just cutting log and cutting wood and not to the extreme of harming people’. Allah (AJ) is, is giving us isharat in these days that SubhanAllah people are not even talking anymore. They’re already moving to Yawm al-Mashr is coming, that people don’t know how to talk anymore. You know, children have no verbal skills. They are like, [silently making faces], because they lost their ability to talk and to communicate. 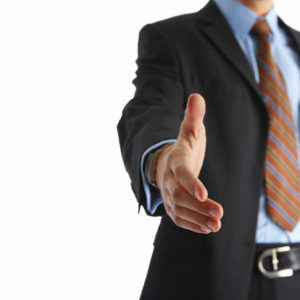 Especially computer people, they lose their ability to interact and talk casually, politely, nicely. They lost all their social skills because they are behind a computer, they’re typing all day long, typing, typing, typing. And they think whatever they type, it doesn’t matter. Allah (AJ) is giving us a sign, ‘No in those last days you’re going to understand what this is about. You’re going to understand that because as you approach the last days, you’re closer to your paradise reality. As we are moving closer to the last days, more and more people don’t talk, they don’t socialize. They don’t even know how to communicate without insulting somebody else. 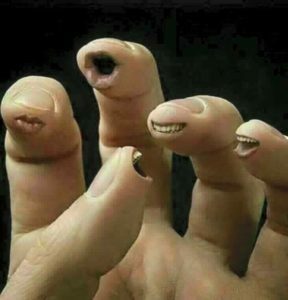 And to the fact that they don’t even talk anymore and all their talking with their fingers. They type and type and type every type of insanity, every type of craziness. And Allah (AJ) says, ‘Your fingers are going to talk and to testify to Me. They’re going to testify to Me of what they’re doing’. So this is a sign for us how Allah (AJ) is guiding the nation of Sayyidina Muhammadﷺ and reminding us that your mouth is not of importance, ‘I’m going to ask your hands what they did. I’m going to ask what they typed, what they wrote,’ because now the hand is the one that’s speaking in this dunya. This typing and texting all day long, and they think it’s not anything. Even they text with their thumb, and SubhanAllah how in the realities of the hand, your identity in Divinely Presence is on your thumb. Allah says, ‘We’ll bring you back to life all the way to the imprint of your thumb’. 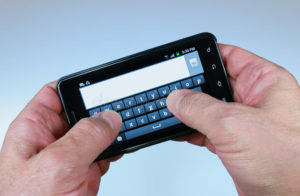 Your thumb carries a reality of who you are, your code, like a bar code in the grocery store, your bar code is on your thumb. Allah (AJ) is going to bring you back exactly to who you are even to the point of your bar code will be exact, your thumb print. That ‘your feet are going to testify to where it earned’. Means where your feet are going, Allah (AJ) is going to, to bring all of its realities of where it went. So then awliya (saints) come and the begin to teach us the importance, that SubhanAllah if Allah (AJ) is going to be asking these hands there must be something of a tremendous reality. And they begin to teach us that actually your hand is the ambassador of your being. Before I can get to meet you, I’m going to meet your hand. So it extends itself to introduce you. So then it has a tremendous reality that it’s an ambassador of your reality. They can tell the condition of your heart by the light emanating from your hand. So means the hand will show the condition of the heart. If the heart is dark and the heart filled with hypocrisy and the heart filled with bad characteristics, you find those hands not to be good hands. Those hands hit, they beat, they do all sorts of aggressive actions. It’s a reflection of the condition of their heart. That there is nobody with a good heart, doing horrible things with their hand because the hand is an ambassador; if the heart is good the hands are very good. If the heart is bad, the hands are very bad. So our life is to build the light and the reality of the heart so that it begins to reflect to the reality of the hand. Where Allah (AJ) describes that there be a people on the Day of Resurrection that you’ll see the believing people and a light will be emanating from their right hand out. And Allah (AJ) stresses the importance of the hands,“Wa tabarak al ladhi biyadihil mulk. – Blessed is He in Whose hands is the Dominion…” (Holy Quran 67:1) Means now, they begin to make us to contemplate, that my tabarak is upon their hand, because it carries a mulk and a sovereignty from Allah (AJ). 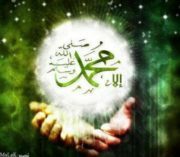 Means what I am bestowing upon that heart which is now reflecting to its ambassador, the hand, it has tremendous tabarak. Why- because Allah (AJ) described that, ‘Qalb al- mu’min baytullah – The heart of the believer is the House of Allah’. If that heart is clean and the character is clean and the conditions are reaching perfection, then light of Allah (AJ), the love of Sayyiduna Muhammadﷺ begins to occupy the heart. When it begins to occupy the heart, they are teaching us, our physiology of realities. 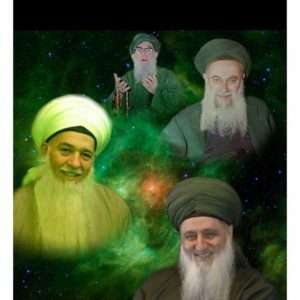 There is a tabarak in their yad, in their hand, because of the mulk that being established within their heart. And the Naqshbandi awrad, we recite Surat al-Mulk at Zuhr and Surat al-Mulk at Salatel Isha. Why- for mulk wal malakut: for the physical domain and the spiritual domain. So the two mulks, we call Prophetﷺ the Sultan ath-Thaqalain, the Sultan of the Two Realities, two hands- one for mulk and one for malakut. ‘My Subhan, glory be to Me whom I bestowed upon the hand power,’ – not Allah (AJ)’s Hand, Allah (AJ) has no hands. This is an inheritance Allah (AJ) giving: the Hand of Allah (AJ) is His Might and Majesty. But the real reflection of the hand of Allah (AJ) is Sayyidina Muhammadﷺ, is the reflection of Allah (AJ). All the might and majesty and Allah’s Subhan upon the hand of Prophetﷺ, upon the hand of all the prophets. Then Awliya begin to teach that that right hand brings a Noor (light) and a rahmah (mercy). 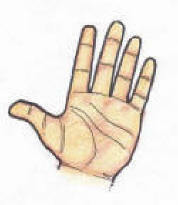 The codes upon the right hand is a 1 and a 8 – ١٨ the line is a 1 and a ٨ (8). For those who recite Dalailul Khayrat, they recite the 99 Names of Allah (AJ) and 201 names of Sayyidina Muhammadﷺ. And they understood and they know from their shaykhs that every IsmAllah has to have an Ismur Rasul to open. So 18th name, Al-Fatah, Allah (AJ) is going to open. 18th name of Prophet is Nabiur Rahmah. 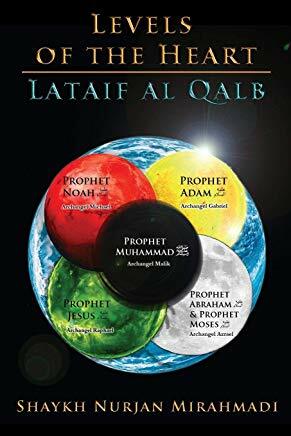 So for Al Fatah to open, you have to ask the permission of a Nabiur Rahmah, ‘Ya sayyidi, ya RasulAllah ﷺ, everything is La ilaha illallah Muhammadun RasulAllahﷺ – (There is no deity but Allah and Prophet Muhammad ﷺ is the Messenger of Allah).‘ Allah (AJ) don’t want to hear from me and you without going to Prophetﷺ. That rahmah to open, that mercy to open, means everything is coded upon hands. It’s not something simple, it’s not something small. 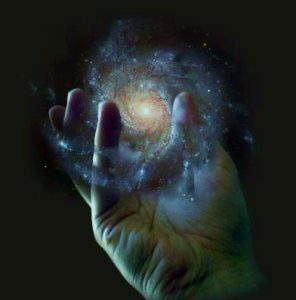 When that reality wants to open means they begin to teach and train us that as you are perfecting your heart and cleaning your heart, these lights will begin to emanate upon your hand. Means that’s why those whom have permission for healing, their hands are ignited. In this day and age they don’t touch because they don’t want to become sick. But the light and Fatah ar-Rahmah, these are the lights of mercy emanate from their right hand. And wherever their hand moves, that light is emanating. The Left hand has 81 – ٨١on it, 81 means sifat al Muntaqim (the Avenger), Allah (AJ)’s avenging. So the mulk has avenging because the mulk (material world) is the abode of fire. The malakut is the Fatah ur Rahmah (Opening of the Mercy). That’s why in your salah, Allah (AJ) wants your right hand to hold your left, that take control of your malakut, that your malakut has to govern your mulk and your physicality. The attributes that govern your soul and your reality has to take control of that which governs your physicality. So means these sifats are dressing and controlling our being. 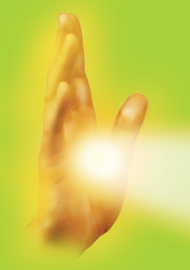 When they are understood and they open their heart, means they bring a light, a light emanates from their hand. This is from Allah (AJ), in Surat al-Hadid, Surah 57, verse 12 (holy Quran 57:12). 57- 57th name of Sayyidina Muhammadﷺ is Al-Mahdi ﷺ. So hadid has to do with guidance. People say, ‘Oh, there’s no mention of Sayyidina Mahdi (AS).’ Oh, there’s many mentions of Sayyidina Mahdi (AS) but you may not know them. Hadid- an iron has to do with guidance. The Christians know in their bible that someone’s coming on a horse, the white rider, and in his hand is iron. And say, ‘Oh that’s Sayyiduna Isa (AS) coming.’ No. 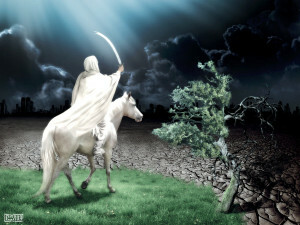 no- that’s Sayyidina Mahdi (AS) coming! He’s known of iron, hadid. Guidance is given to you by the iron within your body. Every creation and creature has guidance from iron. The iron picks up the energy. With the iron is our natural GPS system. So the birds, how they fly and how they know where the earth is and where the ocean is, where their destination is. The iron within their body is what Allah (AJ) sends a qudra and nazmah to it. 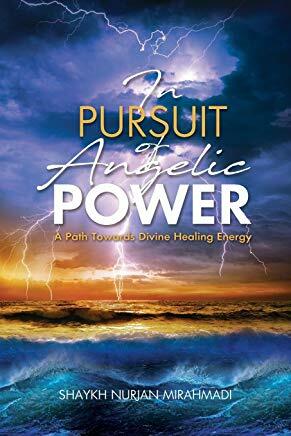 The energy that is coming to that, it gives its coordinates and its guidance. If your iron is imperfected and the iron within your body is not clean, your entire guidance system goes off and the iron is what makes the blood to be red. We said that in other talks, it’s tremendous reality upon insan. 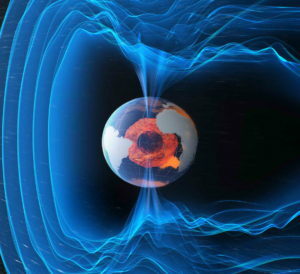 The iron within the earth is what makes the earth to have a magnetic field. There is a molten iron in the core of the earth that continuously moving and heated up; based on that iron, there’s an energy field around this earth. What about ourselves, we are a reflection from that earth. The iron within your body, this is why hadid has to do with guidance, and Allah (AJ) showing that that guidance and that light will be emanating from your being. Then Awliya (saints) begin to teach that this hand of yours is all encoded. So this Fatah ar-Rahmah that you’re trying to open that reality and open from these lights, in your tafakkur then you begin to understand. Why Allah (AJ) has these 5 fingers with 3 lines on each finger? So that’s 15! Because the hand and the symbol of perfection is qamar (moon). 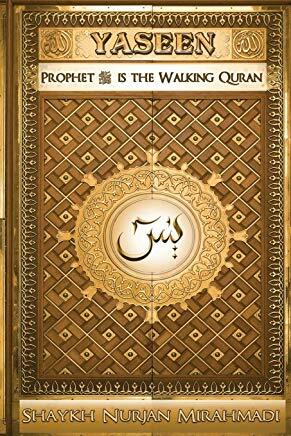 The Shams (Sun) is for the nabiyin (Prophets), qamar is for siddiqin, shuhadahi, was-salihin. Because they cannot be a sun. The sun is for the nabi’yin whom Allah (AJ) gave them risalat; the most majestic sun, the sun of all realities is Sayyidina Muhammadﷺ. So means that you cannot be a sun but Allah (AJ) made us to be qamarun (Moons). You can be a moon if you reach the reality of your heart. 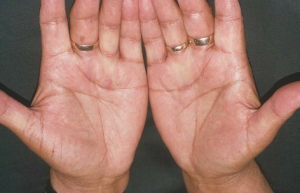 You have 15 lines on one hand: 5 fingers, 3 lines on each finger. Right hand is noor (light). Means then the first 15 days of the month, they are noorani. 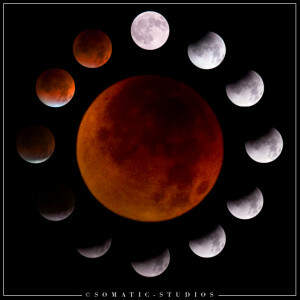 These are the 15 days in which the moon is being dressed as it’s approaching towards its reality. What they call the birth- the moon is born and beginning to move towards the reality of the sun. Means 15 days of noor and light is reaching towards its perfection and that’s why the full moon is the sign of perfection. Then another 5 fingers, have another 3 lines on them; and this is 15 days of the waning moon. Means after the moon reaches its perfection, it’s now in the phase of death. Everything is born and everything dies. Everything- we have a day and we have a night. Everything has a cycle of its birth and its death, from the planets to our being on this earth to all the flowers and everything that we see around us. The way, and the reality of the hadith, ‘Who knows himself will know his Lord,’ is not something small; it’s an ocean that can continue to keep opening. So when Allah (AJ) want you to know His Heavenly Kingdom, they begin to teach you about yourself. ‘Ya Rabbi, what have you dressed me with?’ “Wa laqad karamna Bani Adam – We have certainly honored the children of Adam,”. ‘We have honoured this creation of Adam, that he carries a majestic light from Our Divinely Presence; We stamped him with names.’ We said before that the 1 and the 8, when Allah (AJ) describes 8 will hold the throne and 1 will be the sultan on the Day Of Judgement. What – is Allah (AJ) going to be sitting on a chair for 8 people to hold him? Is there a chair that can hold Allah (AJ)? No, because the one who is holding the chair maybe then as powerful- it’s impossible! 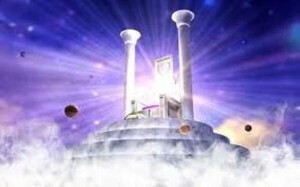 There is a sultan, Sultan an-Nasira (Victorious king), who will be sitting upon that chair. Our life is to be from those who serve the sultan. That’s why we described in the jummah ‘tahzim an Nabiﷺ‘. Our life is to glorify Allah (AJ) and his beloved Sayyidina Muhammadﷺ. Be from the 8 that hold the 1. Then they begin to teach: then that heart will begin to open. Every time you’re making wudu, what kind of codes are you opening upon this reality? You’re opening Fatah ar-Rahmah, you’re opening all the realities of light upon the right hand. You are opening all the realities of these 15 days of light to reach the perfection of the full moon. So means on the 15th day, those lights are strongest upon their hand because they are the reflection of what you see in the heavens. They are walking moons upon the earth. The moon represents the people of annihilation, has nothing; if they’ve been annihilated, as a result they reflect all those realities. Then they begin to teach, the left hand is our from ‘Izzatullah, sifat al-muntaqim, because that left hand is a fire. If that left hand is not controlled, it becomes like the fire of jahannam upon people. And that fire is why Allah (AJ) wants you to clean yourself with your left hand, not your right hand. Your right hand is of a light and rahmah. Allah wants you to eat and put rahmah and light upon your food, and put that food into your mouth. Everything has a reason, not always this is right or left or this is just by mistake. It’s a immense reality that put your light and rahmah upon your food and that rahmah to go into your mouth. If they don’t know how to control you see that their left hand an aggression and their firey reality will overtake them. That’s why Allah (AJ) then say, ‘You control your fiery nature’. That’s why we hold the left hand with the right hand in Salah (daily prayer). 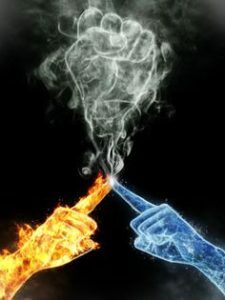 If you control that fire, you can make it to be a fire of healing because you have to burn away bad to bring the light of something good, so that that which is najas and dirty for you Allah (AJ) says, ‘Use your left hand. The fire of that hand will take away its badness and its germs’. Everything has a tremendous reality upon our being, it’s not something random. Awliya are teaching us how to open all of these realities; these are the people of tafakkur and contemplation, the people of realities. How that going to come- is by the heart to be open, the lights of the heart to be open, all the bad characteristics to be brought down so that these realities can begin to emanate from the holy hand. We pray that Allah (AJ) dress us and bless us from these holy nights and begin to open from these realities more and more upon our hearts.